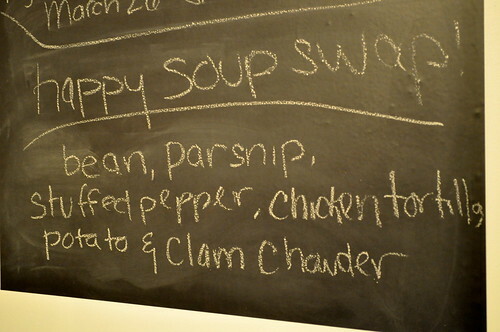 And what a soup swap it was! Our soup swap was held Saturday, January 21. This year we increased to eight participants! 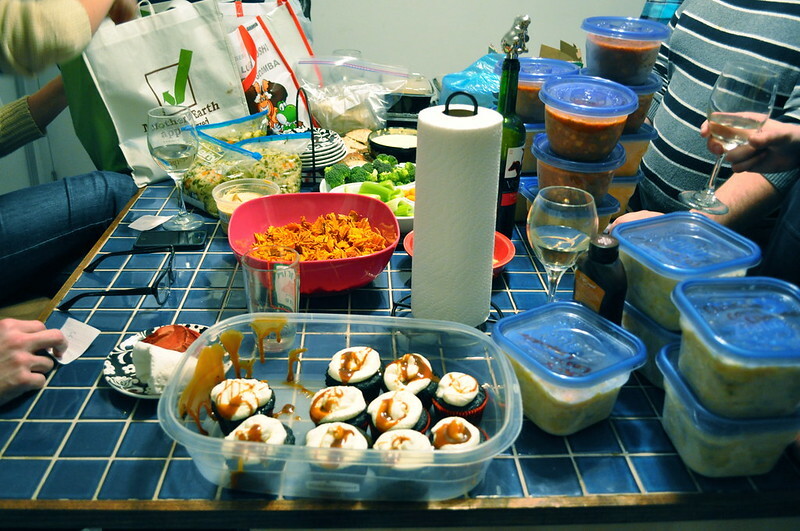 From the looks of it, we had lots of soups, lots of munchies (cupcakes courtesy of Julia), and LOTS of wine. 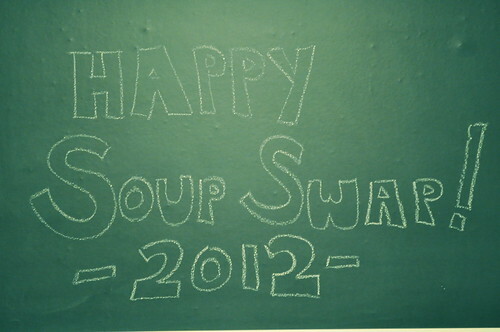 The soups were delicious, again, and I am looking forward to Soup Swap 2013! Visit soupswap.com for more information and how to host your own soup swap! a small group of friends and i got together to do the soup swap last Sunday. the swap went off well for it being our first swap. 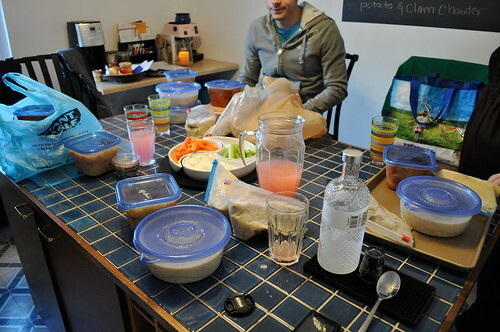 we each brought 5 1-quart containers of our own soup to swap with everyone. 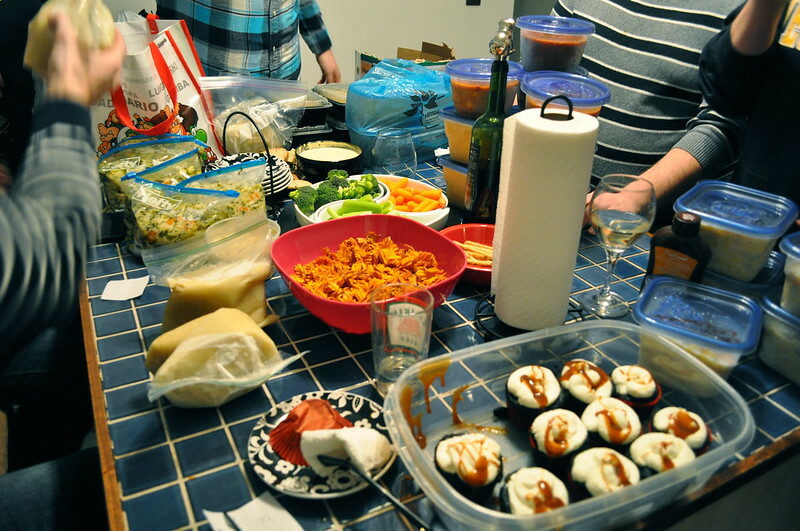 we hung around my kitchen island eating some snacks and enjoying some drinks. all in all, i think it went off well. if i get around to making my soup again and get a hold of the recipes everyone used, i will post them. i will definitely do this again next year and invite more people. i’d like to thank Ian, Tim, Cate, Kris and Julia for participating! so far i’ve had the bean and clam chowder and both were outstanding. 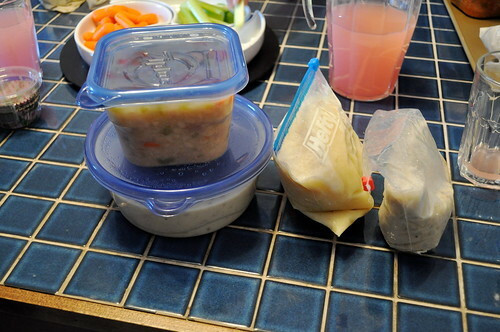 i’ve heard good reviews about the other soups from other swappers so i’m looking forward to trying them this week. yay! success! No recipe today but I give you a soup swap! On January 22. 1. Make a BIG pot of soup. 2. Call up some friends. Check out their website, get some of your friends together and do the soup swap!